Do you grind your teeth? Or do you have a loved one or family member who grinds their teeth at night? Teeth grinding or bruxism can affect anyone and lead to multiple issues including sleep disorders, stress, migraines, earaches, a variety of dental issues and pain in the shoulders, back, and neck. Studies show that people are often unaware of their own teeth-grinding and how often it happens. This is particularly true if the grinding occurs during sleep. At Warner Lakes Dental, we’d like to increase your awareness of bruxism, its symptoms, and how it can be treated so you and your loved ones can avoid the damage it can do. The signs and symptoms of bruxism are so subtle that it often goes unnoticed at the start. Often a patient discovers they have bruxism from a loved one who notices it during the night. Morning headaches. Muscles become stressed due to constant grinding and clenching during sleep, leading to migraine headaches, tension headaches, sinus headaches, and other kinds of headaches. Jaw pain. Consistent clenching and grinding can cause tooth and jaw pain with an uncomfortable feeling on the face. Tensed muscles and excessive wear and tear of the teeth due to bruxism leads to general jaw pain. Other oral issues. Bruxism can cause the jaws to move out of balance, cause stress fractures of teeth, and Temperomandibular Joint Dysfunction (TMD). Even mild bruxism can cause chipped, broken, or ground-down teeth. Over time bruxism can loosen teeth and lead to a receding gum line. Tooth sensitivity. People with otherwise healthy teeth and gums can clench so often and so hard that teeth become sensitive. Stress or anxiety-related to life events and outlook. A reaction to teeth not lining up correctly. 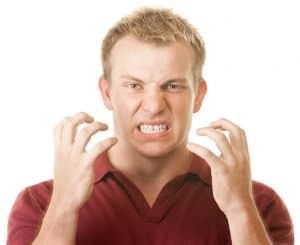 Other causes of bruxism are a hyperactive, competitive or aggressive personality type, gastrointestinal reflux, pain from teething, or tooth misalignment. If untreated, bruxism can lead to worn tooth enamel, which increases the overall chances of tooth decay. Over time, bruxism can grind off the chewing surfaces of your teeth, causing them to become less effective. In the most serious cases, bruxism can cause fractured or chipped teeth and even permanent tooth loss. According to experts, nearly 70 percent of bruxism cases are related to stress and anxiety. In this case non-invasive treatments are recommended including the application of moist heat to the jaw to relax the tension. Stress management techniques such as deep breathing, meditation, massage, stretching exercises (such as yoga) and even hypnosis and acupuncture may also help alleviate symptoms caused by anxiety. Enamel protection. A mouth guard worn at night provides protection for your tooth enamel. There are different types of mouth guards depending on the severity and nature of your bruxism. But all of them provide a layer between your teeth which prevent them grinding together and eroding your tooth enamel. Jaw muscle protection. Your jaw muscles are incredibly strong, creating a force of up to 1,300 Newtons, so it is no surprise they will hurt if they clench for an entire night. Soft rubber or dual laminate mouth guards provide a layer of cushioning between the upper and lower teeth protecting the jaw muscles from this extreme tension. If you suspect you or a loved one suffers from bruxism, visit us at Warner Lakes Dental so that we can begin proper management early and prevent the complications from happening if left uncontrolled. As with most dental issues, early diagnosis and treatment is a key part of a successful outcome. 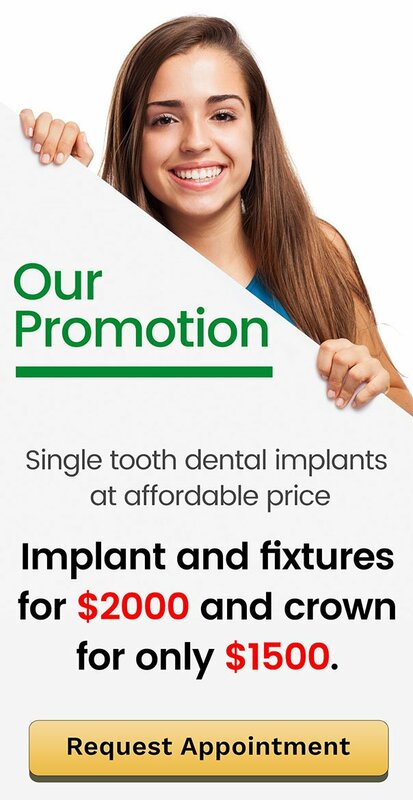 Warner Lakes Dental wants your visit to be the quickest and most convenient dental experience you can imagine. From parking to treatment, we try to make the entire process as simple and painless as possible! From routine check-ups and cleans to root canals, extractions, and cosmetic treatments, Warner Lakes Dental is your partner in dental health.